Ground blue corn, grown by indigenous communities in Mexico. Available in two flavours. Gluten-free, vegan, GM-free. First sports nutrition made of pinole. Made from all-natural ingredients. Designed to help fuel endurance performance and fuel your day. Pinole is a tasty flour made of toasted blue corn. Our producers use a traditional Aztec recipe that guarantees a shelf-life of up to five years! It’s the secret ingredient that the Tarahumara carry with them on their long runs in sandals in the mountains.  Our blue corn is an ancient seed grown on an active volcano. Our farmers use the traditional techniques, without the use of artificial fertilisers or pesticides. Preserve indigenous cultural practices. Protect the genetic biodiversity of Mexican corn. Support the economic welfare of indigenous communities. Discover recipes for delicious pinole dishes!